Day 7. 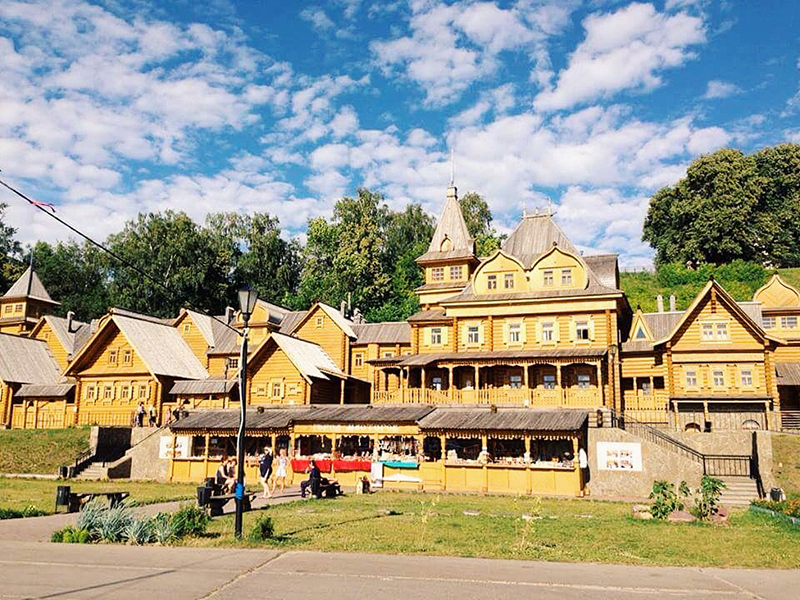 Gorodets is the tourist center of the region. 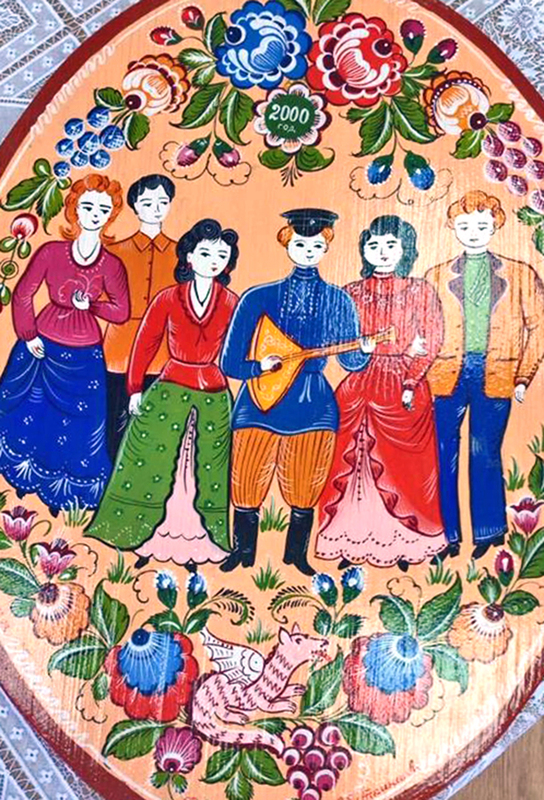 The so-called "city of craftsmen" is a showcase for various arts and crafts and they even have their own - the Gorodetskaya painting style. It's a bright, colorful kind of painting that is currently struggling to survive. Today there are only two people left dedicated to this style of painting. They rent one floor of the local furniture factory. 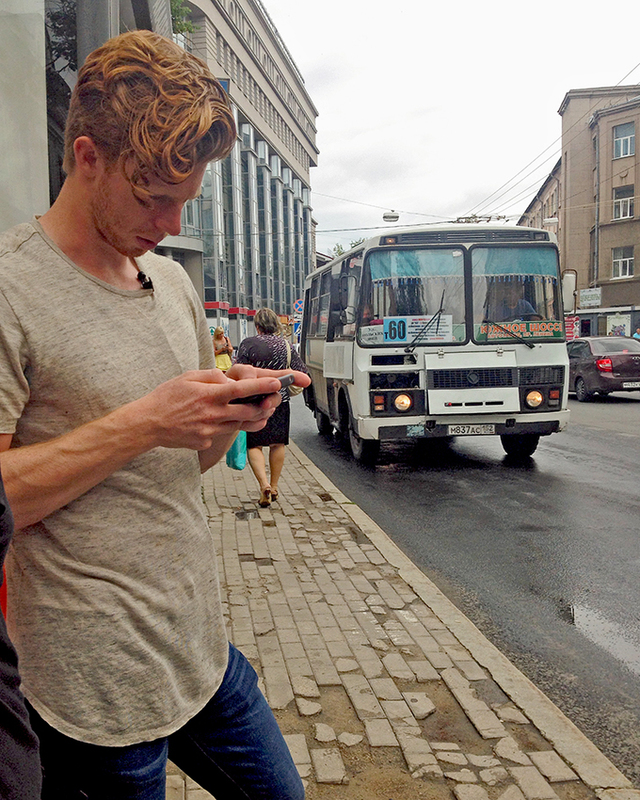 RBTH’s multimedia team spent this week in Nizhny Novgorod (420 kilometers east of Moscow) region. In the nearest future we are going to share with you some of the best local stories that we've collected and filmed. But today while the impressions are still fresh, we have prepared a special edition of the photo blog from our expedition. Day 1. 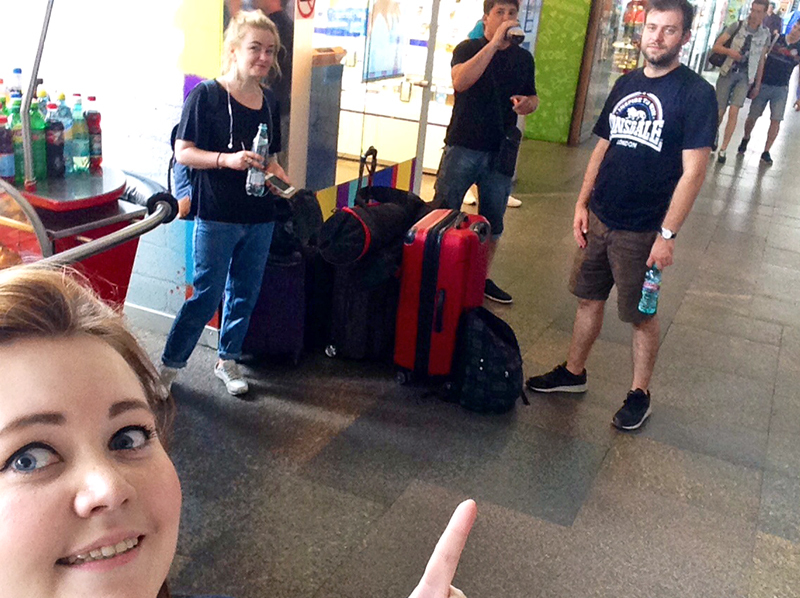 We meet at the Kursky railway station in Moscow. We have two DSLR cameras, two tripods, one slider, one drone copter, one recorder, a few microphones and some lighting equipment. Not that we need all of this stuff every time we make videos, but once we get to Nizhny everything might come in handy. 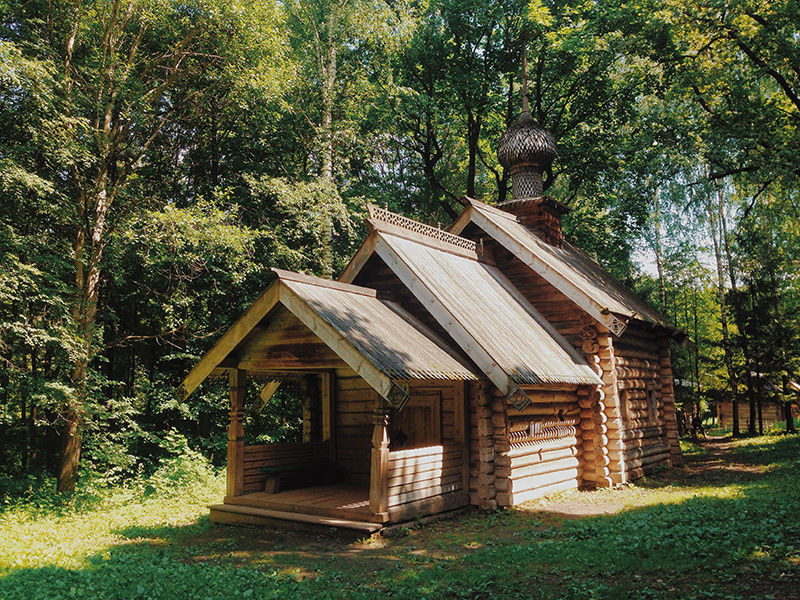 Welcome to the Shchelokovsky Khutor, an open-air ethnographic museum where you can find rare examples of Russian wooden architecture from the 17th-20th centuries. The museum is spread out over 36 hectares. There are 14 buildings from different styles and epochs - all examples taken from the Nizhny Novgorod Region. By the way, don't confuse Nizhny Novgorod (residents call it simply Nizhny) with Veliky Novgorod (which is more likely to be called simply Novgorod). Nizhny Novgorod is one of the oldest cities in Russia and due to its location between two rivers it was the main town on the old Volzhsky trade route. The city’s past is very much connected with the history of trade between Europe and Asia. 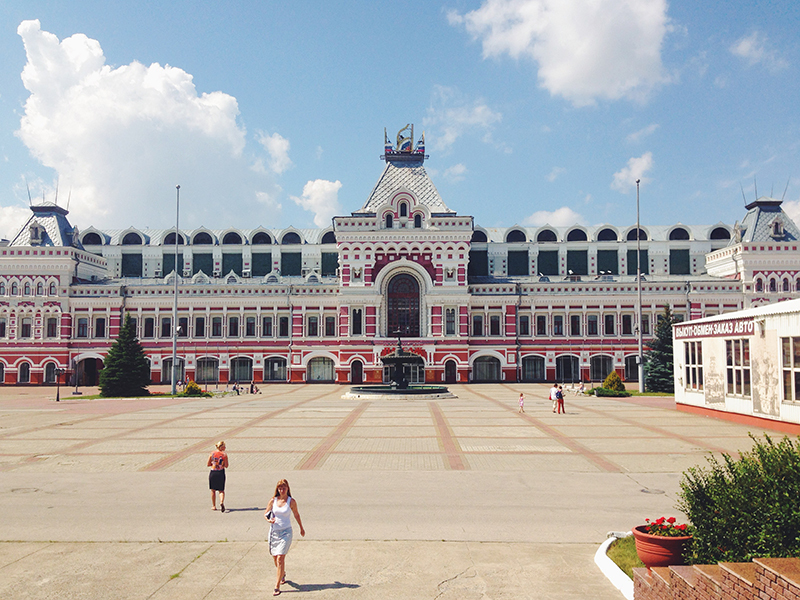 Tourists are usually fascinated by the Nizhegorodskaya Fair building. Unfortunately, nowadays there's nothing special inside except for the Heraldic Hall. Four hours on the Strizh high-speed train and we're in Nizhny Novgorod. The first thing to see is obviously the local Kremlin, which stands on the banks of two rivers - Volga and Oka. What a view! Next we take a stroll through the most lively and popular street in town - Bolshaya Pokrovskaya. It’s Saturday night, there’s warm summer weather, people are chilling on the terraces of local cafes and music can be heard on every corner thanks to the street musicians who seem to be everywhere you look. Day 4. 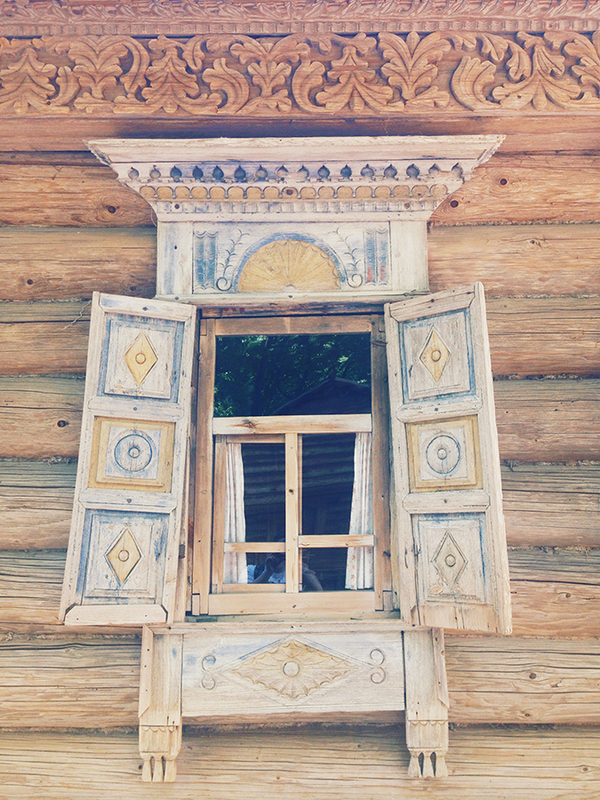 Actually, the reason we've chosen Nizhny Novgorod as our destination is simple – it is from here that many traditional Russian handicrafts originate. 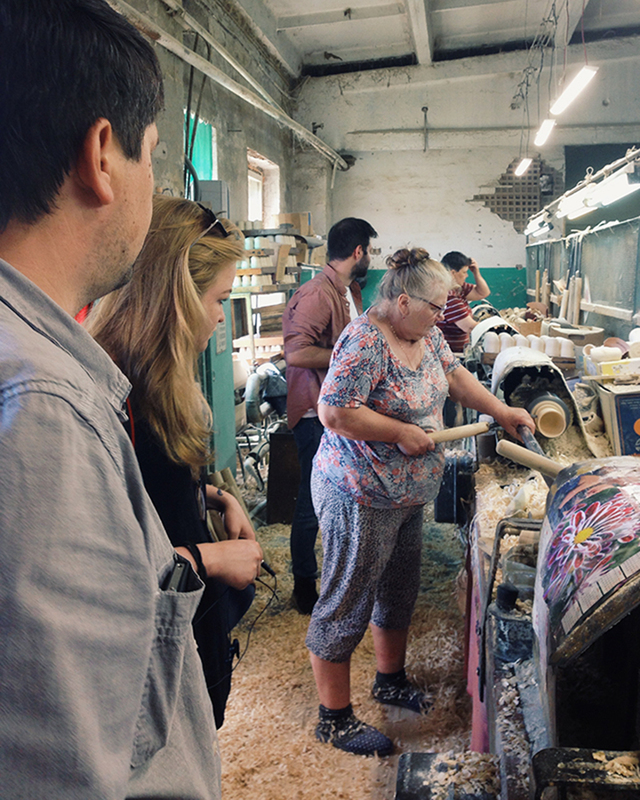 And since we're doing a series of features about handicrafts including Zhostovo, Gzhel and Pavlov Posad, it's quite proper that we’ve come to see everything in person. 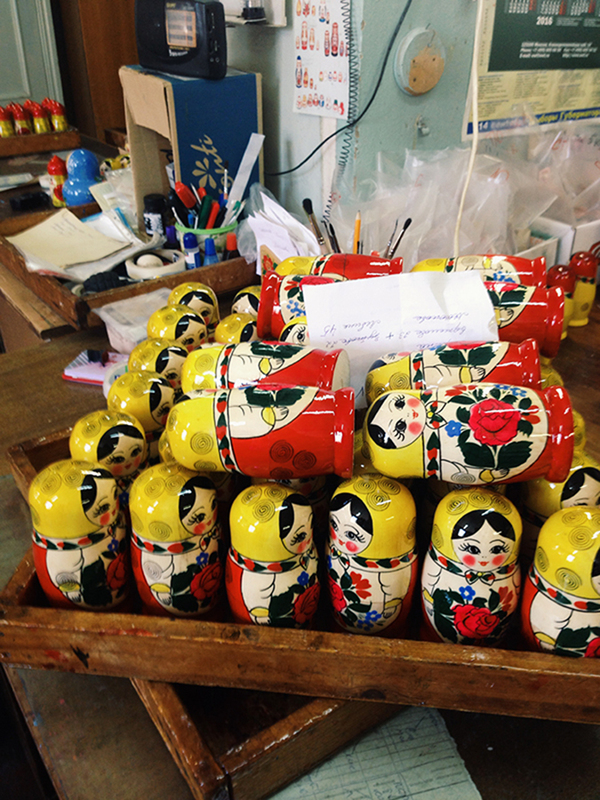 Welcome to the factory of Russian matryoshkas located in the small town of Semyonov, 1.5 hours from Nizhny by car. We've seen the whole production process from their beginnings as wooden billets to the finished product – painted colorful matryoshka dolls.What is more incredible is that it's all done by hand by just 40 workers. Day 5. 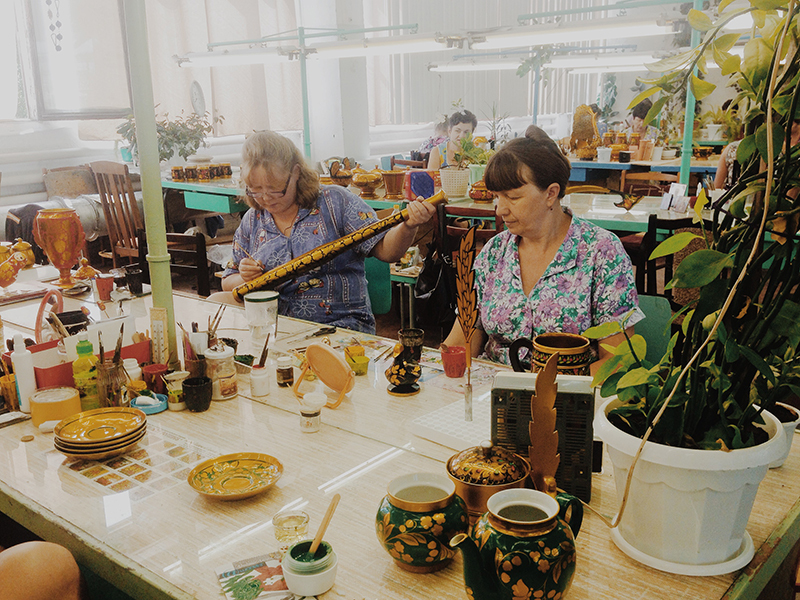 Nearby, you can find another Russian handicraft that has become a true Russian brand - khokhloma. 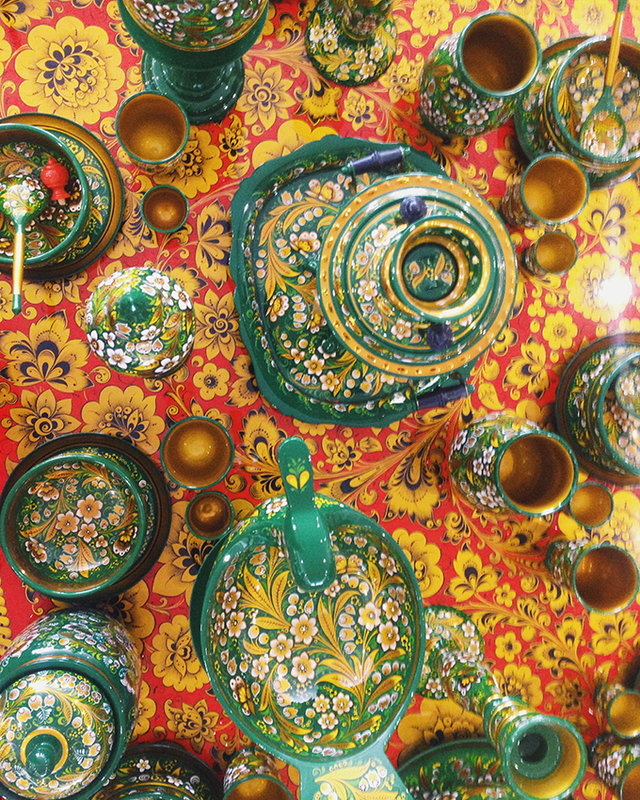 Khokhloma and matryoshka have one origin, but now they diversify their production: the matryoshka has its own decorative style and focuses on nesting dolls, while khokhlomas are known for their red, black, gold and sometimes green flowers painted on tableware. The scale of khokhloma production is impressive. It is probably the largest handicraft factory that we've seen this year: it employs 800 people. Day 6. 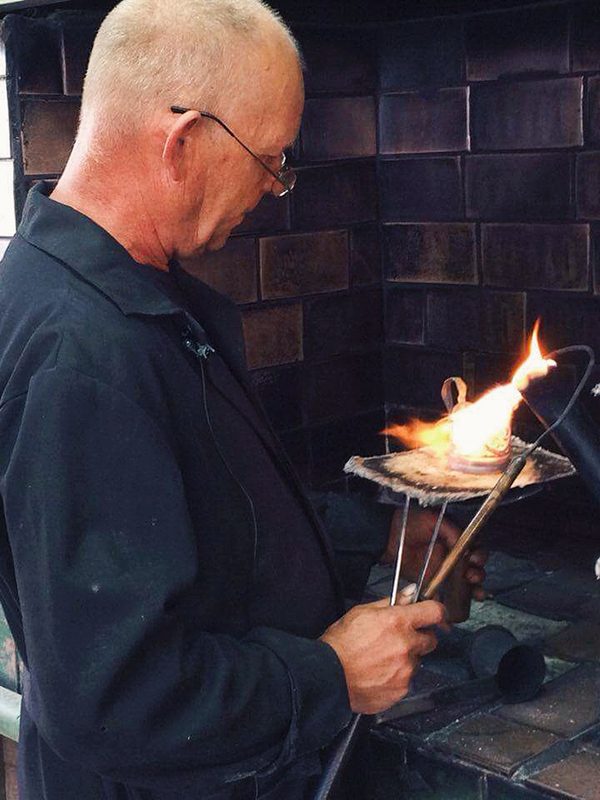 Filigran (filigree) is not as well known of a handicraft, but it still deserves attention. It is a lacy jewelry made from fine silver or golden wire. The factory is situated in the village of Kazakovo, two hours from Nizhny by car. Meanwhile, we come back to the city. 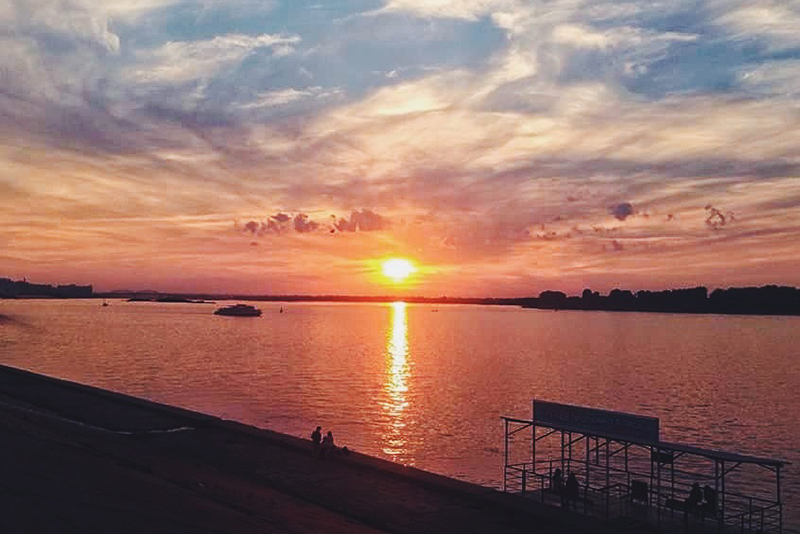 In Soviet times Nizhny Novgorod was called Gorky in honor of Russian writer Maxim Gorky, who spent his childhood here, as well as a few years of his adult life. In the 1930s the town gained the reputation of an industrial center and was sometimes called the “Soviet Detroit.” The city was closed to foreigners until 1991. However, local sport and art collectives were talented and had the chance to take part in many competitions abroad. The headquarters for such endeavors at that time was the city’s famous Palace of Culture. 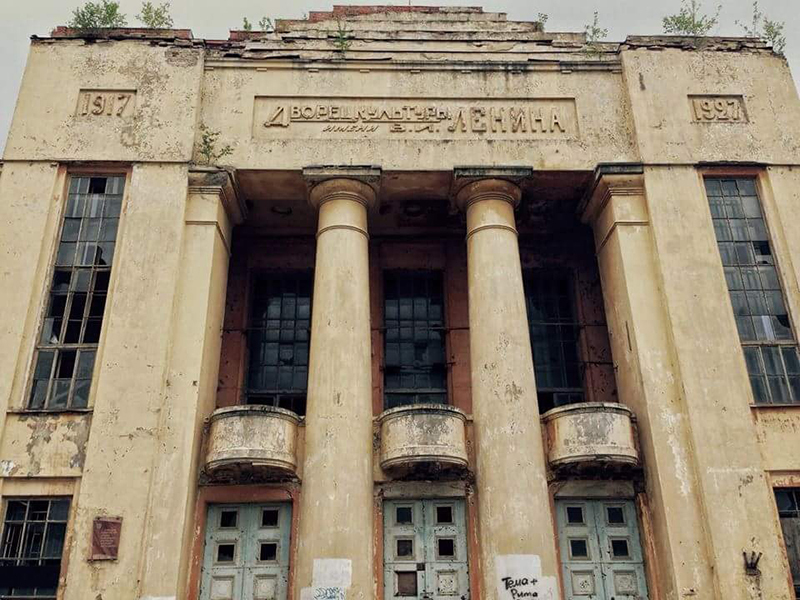 Unfortunately, in the 1990s the building was looted and abandoned. 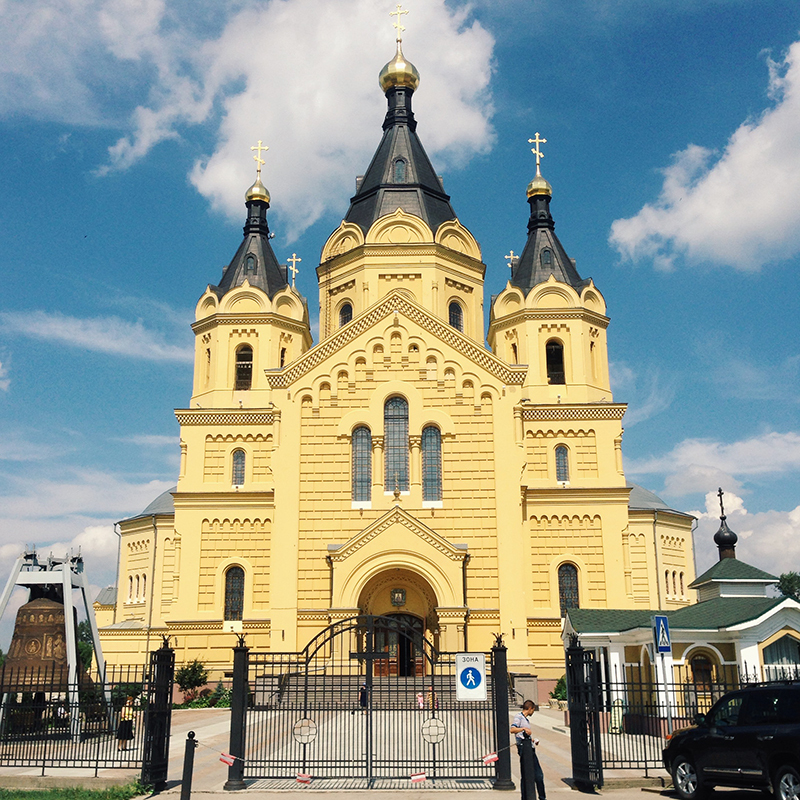 We arrive back in Nizhny for a farewell stroll near the railway station and take a photo of the Alexander Nevsky Cathedral. Bye, Nizhny! Hello, months of post-production! Stay tuned!